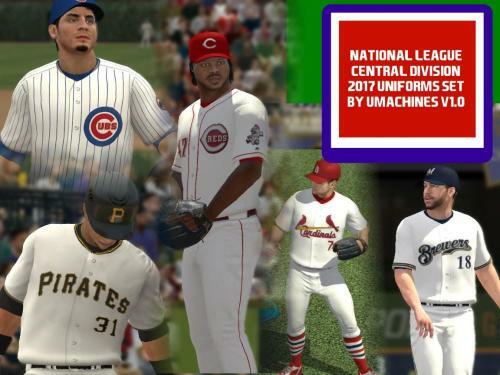 They are made to replace main, and alternate uniforms of NL-Central Division Teams. There is also a couple of extra uniforms. 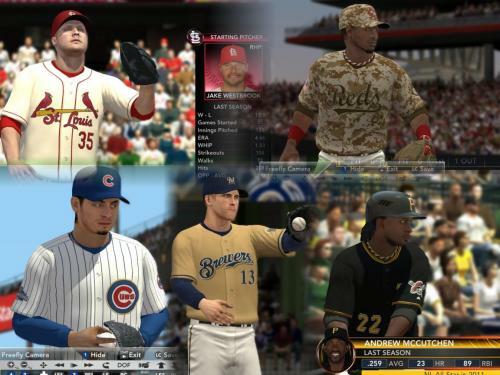 ...Well, I didn't have the intention to cover all MLB teams, But it's been exiting working with this uniforms. Nothing really new in this set, compared to some improvements introduced in the other three ones so far. But as always, I tried to do something kind of unique for each team. Just two divisions to go, for those who are following these releases. When I finish these divisional sets, I'm upadating the first ones to some newer things they don't have yet and releasing a brand new version of my templates, much more complete. - Special Golden Numbers Champions Home Uniform - Champions patches on cap and sleeve and a gradient golden effect for the numbers. Replaced non used blue jersey for home games. - Alternate Red Jersey Home Uniform. - Special Desert Digital Camo Jersey Home Uniform (Replaced BP Home) Can't get enough of camo jerseys XD. - Alternate Navy Blue Jersey Away Version Uniform with navy blue glove logo. 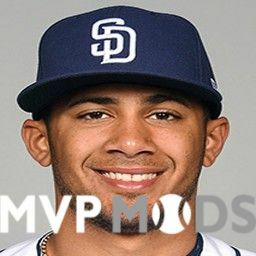 * Oh, STIRRUPS!. Dont miss them. - Regular Away Uniform - Forget the picture. Batting helmets are red. - Alternate Cream Uniform (Replaced Home BP) Love this one. 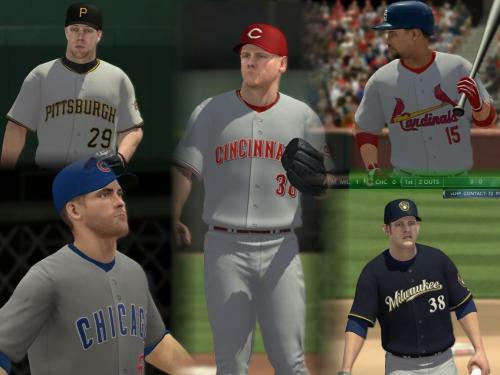 To install the uniforms, just extract all the files in MLB 2K12 game folder. I've also included the file "NL-Central-ColorFix.txt" in order to fix the uniforms accesory colors using the Roster Editor tool. DONT FORGET TO IMPORT THE COLOR-FIX FILE IN ORDER TO SEE YOUR UNIFORMS THE RIGHT WAY. Cool! Yours and KC's uni's have always been the best! Thanks!